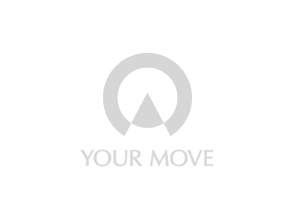 Your Move North Hykeham are a dynamic, pro-active, market leading agent who specialise in residential sales, lettings and Financial Services Via our business partners Embrace. The branch team, led by Branch Manager Joe Jowitt, offers a healthy blend of motivated, enthusiastic staff with over 65 years’ industry experience between them. Branch Manager Joe explains 'From the moment a seller books a valuation with the North Hykeham branch, they are guided as to what will happen with the valuation appointment and are advised of the best way to present their property for sale by the Branch/Valuation Manager who visits their property’. We offer tailor-made packages to suit any potential seller's requirements STARTING FROM 0% commission!!! We also provide the ultimate marketing package and professional photography to enhance the marketing material of your home. Please call in to see us and discuss how we can make a difference to the way your property is advertised. We encourage all our buyers and sellers to come and speak to our Embrace Financial Services, Financial Consultant Jane Foulston in regards to their mortgage requirements. Jane has over 30 years’ experience within financial services, so whether you’re buying your first home, upsizing, or are property investor looking at all your options, Jane will be here to help you find the best mortgage solution for your needs. We also work closely with Aviva - the biggest provider of life insurance products in the UK. Our Senior Sales Consultant within the branch, Andrea Attwell has over 25 years’ experience in the industry. She offers a great service to help you get into your dream home. From booking a viewing, negotiating an offer or progressing a sale, she gets great job satisfaction from handing over the keys to you on completion day. Working closely alongside Andrea is Tommy Child who is eager to find the perfect property for you and exceed your expectations! We also offer an in-house conveyancing service. From instructing a law firm on your behalf to contacting our conveyancers who we work very closely with to progress the sale. We make the exchange process less stressful right up until completion. Our conveyancing solicitors work on a no sale no fee basis which is peace of mind should the sale not progress through to completion. Please speak to a member of our team for a schedule of costs for this service. Contact Joe and the wonderful North Hykeham team for all your property needs, WE WILL STRIVE TO EXCEED YOUR EXPECTATIONS!